Five years ago Bolivia stopped exporting the “red gold” – this is what some growers in Comarapa call the strawberry. This fruit is very rich in flavor and in production because it is one of the few that gives fruit throughout the year. According to data from the Bolivian Institute of Foreign Trade (IBCE), it is pointed out that the country stopped exporting from 2012, but possibly the exports of this small fruit will begin to register in next year’s national statistics because there is a new 5 thousand cultivation hectares’ project in Samaipata with outlooks towards the markets of South America and overseas countries. Looking towards the foreign market. José Carlo Fernández is the new entrepreneur who opted for the production and commercialization of the strawberry, which is in the implementation phase. “Circumstantially, I met up with a very good Chilean friend, now my partner, with experience in the agribusiness subject, and today we are Naturals Foods Bolivia, part of a group with penetration in the Chilean and Peruvian markets, and soon in Colombia “he said. José Carlo said that his project contemplates having integration throughout the chain and managing the optimal product mix, according to the requirements, international traceability standards, market needs, such as being fresh, frozen, pulp, among others. Farming in Samaipata. Five new cultivation hectares are in Samaipata. Fernandez bet on these lands due to their climatic characteristics, and experience in the area of the production of strawberries. “Once we consolidate production, we will see other potential zones for this crop,” said the new producer before unveiling that, according to labor costs and inputs, without considering the value of the soil, they have invested $ 25,000 per hectare for the production of this red fruit that has Chilean-Bolivian investment with the partners’ own capital. In addition to that, he said that they are innovating with varieties, technical management and production technology to ensure a “quality product for the domestic and export markets”. Strawberry exports and imports. Jimena León, Head of Statistics Unit at IBCE, indicated that the level of exports of strawberries is low, Bolivia exported fresh strawberries between 2010 and 2012 for a volume of 0.8 tons and US $ 9,223, but also exported canned strawberries between 2005 and 2012 for 37.6 tons generating $ 61,018. It is worth mentioning that there were no exports during the 2007 and 2009 session. Meanwhile, imports were constant during the 2000-2017 period, “they reached 423 tons worth of 313 thousand dollars, being 90% of these preserved strawberries, to emphasize that since 2015 Bolivia stopped importing fresh strawberries”, he explained. For his part, José Carlo Fernández expressed the concern to create an export culture in the country. “It is very important that, like our neighbors, Bolivians, begin to work on creating an export culture, working on protocols and technical and commercial agreements that will put us on this path, such as those in countries such as Chile, Peru, Colombia, among others in the region. Production of the strawberry in Comarapa. Kenny Veizaga, director of Productive Development and Environment in the municipality of Comarapa, said that there are more than 150 hectares of production, albeit a reduction of 70 after reaching its highest peak in 2015 with 220 hectares. “This semester, the frost in the lower zone affected the production of 70 hectares and in the upper area about eight hectares more,” he said, making clear that producers are already rising again with their new plantings. 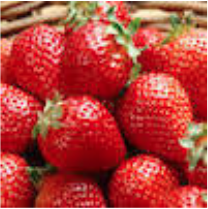 It should be noted that the strawberry plant is not national, but is imported year after year. “The mother plant is imported from Chile and Argentina, this year 900,000 plants will enter,” said Kenny Veizaga. And among the costs, “the purchase of 500 strawberry plants costs us 1,250 bolivianos”, reported Daniel Valverde, a producer in Comarapa for five years. Harvest occurs between two to three times a week, with spring being more intense. After harvesting the fruit 90% is destined to the markets of the cities of Santa Cruz, Cochabamba, Sucre, La Paz and other cities in the country, covering almost the total demand of the domestic market and the remaining 10% is destined to for transformation. Placement of irrigation tape and mulch: Once the ridge is constructed the ridge the irrigation tape is placed in the middle of it (with droppers every 10 cm) Then covered with plastic mulch (35 to 50 microns) 1.30 meters wide. Plantation: Planting marks will be staggered on the mulch. Then it is planted, using fresh plants starting in the month of March and ending in September, beginning in the lower zone and then ending. The cultural work during the strawberry cultivation cycle depends on the pest incidence, diseases and water and nutritional requirements. In the irrigation system strawberry production in the municipality has had a great advance due to the different irrigation systems that have been implemented. The construction of shelters to store water from the rains is done in the high area. In the lower zone communities a system of drip irrigation is applied.